SMEs (small and medium sized enterprises) comprise 99% of all businesses in the UK, account for 55% of non–governmental jobs and provide 51% of the national turnover. Competitive Advantage in SMEs, Organising for Innovation and Change draws on the experience of staff at Manchester Metropolitan University, focusing on how smaller firms can improve company performance to create and sustain long–term competitive advantage. Competitive Advantage in SMEs, Organising for Innovation and Change has been written for final year undergraduate students and postgraduate students studying small business management. It will also be a valuable resource for those already owning and managing small firms. 1. Introduction: (F. Tilley and J. Tonge). Section 1 General Management Issues. 2. Competitive Advantage in SMEs: Towards a Conceptual Framework (O. Jones). 3. Strategic Management for Small and Medium–sized Enterprises (SMEs) (A. Marsden & C. Forbes). 4. Corporate Governance for Competitive Advantage in SMEs (R. Warren). 5. Sustainability and Competitiveness: Are There Mutual Advantages for SMEs? (F. Tilley, et al.). 6. Human Resource Management: Managing People in Smaller Organisations (S. Taylor, et al.). 7. Employee Share Ownership in SMEs (A. Pendleton). 8. Managing Creativity and Competitive Advantage in SMEs: Examining Creative, New Media Firms (M. Banks, et al.). 9. 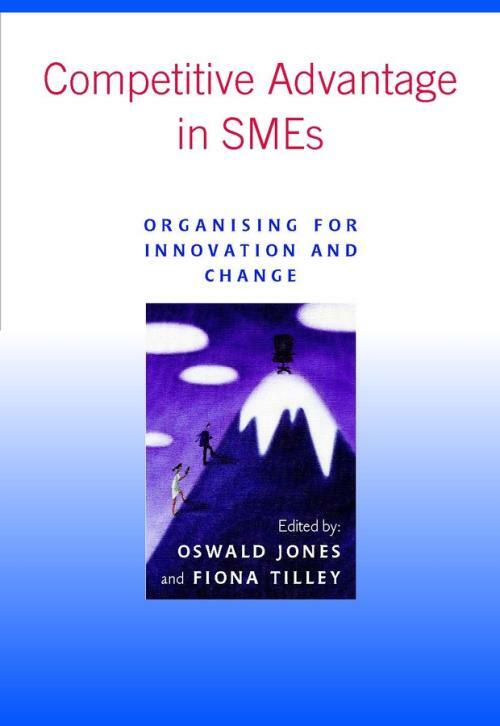 Innovation in SMEs: Intrapreneurs and New Routines (O. Jones ). 10. Networking Capability: The Competitive Advantage of Small Firms (D. Taylor & K. Pandza). 11. The Adoption of E–Business Technology by SMEs (P. Windrum and P. de Berranger). 12. Supply Chain Management: Improving Competitive Advantage in SMEs (A. Macpherson & A. Wilson). 13. Sustaining Viability in SMEs: Perspectives on Innovation in Financial Management (B. Sweeting, et al.). 14. Retail and Services Marketing (S. Baron). 15. Conclusion (O. Jones & F. Tilley).